The site has incorporated its registration process with each candidate's first application - this is saving thousands of people from the painstaking duplication of effort which is common-place elsewhere on the internet. Director Matt Ellis claimed that a new visitor to the site could search for relevant jobs, register AND apply for their first job WITHIN 60 SECONDS !!! 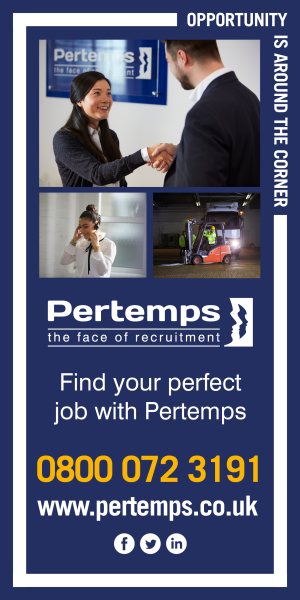 "I appreciate it appears unrealistic to suggest it takes less than a minute to find a job, apply for it and also register as a candidate on the site but I have tested it myself a couple of times from scratch and met the target on both occasions. It probably helps that I am familiar with Jobs4.co.uk and job boards have been a part of my working life for many years. If we are talking about someone wanting to put our research to the test formally, I guess I would also want to add that you need to take Browser performance into consideration as much as the general internet experience of the user before trying to prove or dis-prove our claim." Mr Ellis added "We would welcome any feedback to the new "Quick Apply" process, particularly from brand new visitors who get the benefit of the auto-registration with their first application. All our tests were done in a live environment with "test jobs" advertised to ensure we didn't waste our advertisers time. We hope to see traffic on our site double in the next month as a result of the improvements"
Jobs4.co.uk offer jobs from leading employers in Accounting, Education, IT, Legal, and Sales.